We want to let you know that soon your user login experience to Code42 will begin to change slightly. 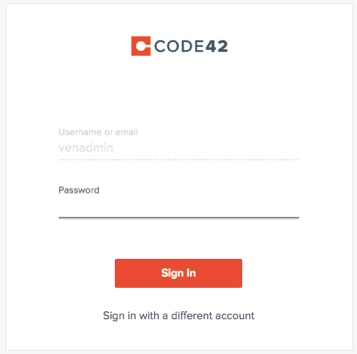 On May 18, the Code42 web administration console will be moving to a two-step login process to follow industry standard practices and lay the building blocks for future product innovations. Also, your Code42 client login process will be updated to the two-step login a few weeks later. 1. Navigate to the console, enter your username, and click Sign In. 2. When the password field appears, enter your password and click Sign In. Having complete confidence when logging into applications is crucial so we want to ensure you are aware of this change. Follow the release notes here. If you have any questions or concerns, contact the Code42 Customer Success Team.